The artistic interpretation of Titanosaur embryo. A perfect prehistoric gift for dinosaur enthusiast's birthday. 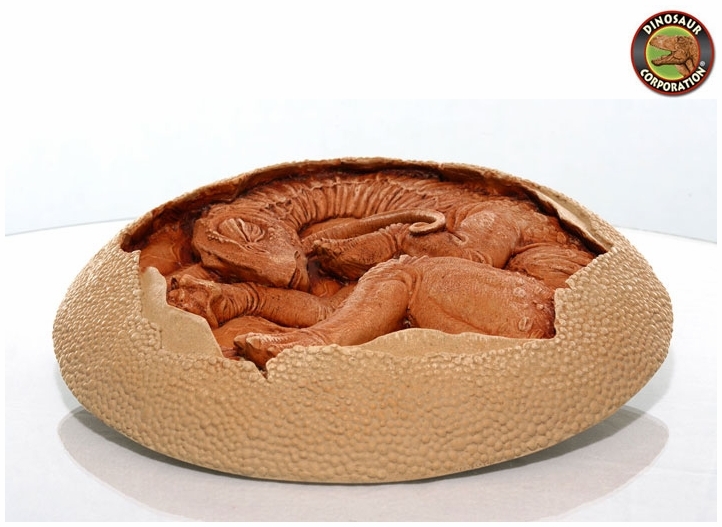 Hurry now and get our Titanosaur Embryo Dinosaur Art Sculpture in cutaway egg before it becomes extinct! Titanosaurs were a diverse group of sauropod dinosaurs which included Saltasaurus and Isisaurus. The titanosaurs were the last surviving group of long-necked sauropods, with taxa still thriving at the time of the extinction event at the end of the Cretaceous Period.